Owls performed worst of all the groups due to chronic social jet lag. But it’s not as simple as students just staying up too late, Smarr said. 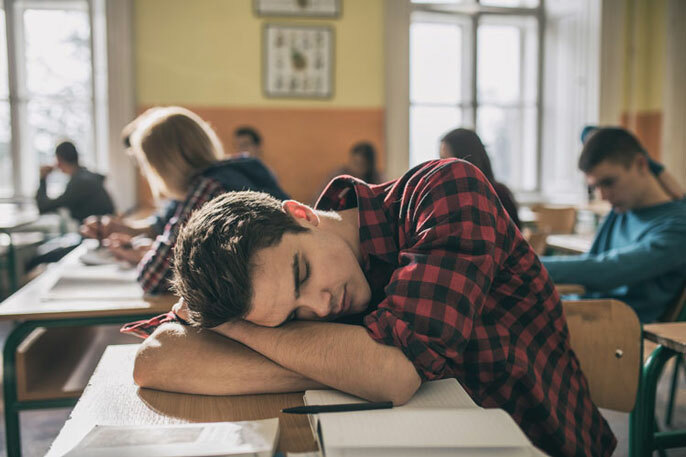 Trajectory on left tracks performance (GPA) of students whose alertness peaks before class times while the right side tracks performance of students whose alertness peaks after class times.